Asian School of Business (a part of Asian Education Group) – one of the top ranked BBA/BCA colleges in Noida – recently held season 6 of its annual inter-college cultural fest known as ‘AEG KESSHET’ on Thursday, 17th January 2019 at its campus in Noida. AEG KESSHET 2019 was celebrated with great pomp and enthusiasm, and in complete Bollywood style. 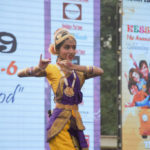 One of the attractive event activity at this festive celebration was the “Group Dance & Solo Dance” competition. The first prize in solo dance category went to Ms. Richi Pachauri from Asian Business School. 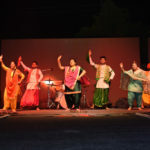 The winners in duet were Mallika Singh and Jagmeet Singh Johal also from Asian Business School, while the girls team from Delhi University-Institute of Home Economics won the first prize in Group Dance. An eminent panel of judges constituted by Ms. Monisha Goswami, the renowned theatre artist and choreographer, ensured fair-play and offered constructive words of advice to the performers. Here’s your share of the glimpses of this dance event activity.